Today Is The Day You Can Make A Difference In A Child's Life! As I opened the door to meet the newest members of my family, my heart immediately left me. It was late at night when the three children were placed into our home, and into our family; placed into foster care. The 13-year-old boy, 11-year-old-girl and 10-year-old boy were removed from their home for a variety of reasons, including neglect, abuse, and drug use by their birth parents. When their caseworker brought them to our home, the looks of fear, confusion and anxiety were clear in each of their eyes. Yet, what haunted me the most was their condition. Like so many children removed from their homes and first placed in foster care, these children came with the clothes on their backs as their only possession. These children were different, though. Their clothes were not only stapled together, but were also contaminated with both the human and dog feces that had completely enveloped the home in which they lived in, the same home where their parents were producing Meth. Their condition was both shocking and tragic, and it left me shaken. It was well past midnight, after all, were in bed, that I traveled 40 minutes away, to a large 24 hour store. There I bought clothing, shoes and school supplies for these children. By the time I arrived home, it was almost time to get up to go to work. I was exhausted before the new day even began. In reality, it is an all too common occurrence for foster parents like myself to go out late at night, looking for school supplies, clothing and food, as sadly so many of these children are in such desperate need of even the basics. Yet, for so many foster parents, it is sometimes difficult to provide all that a child in foster care needs. The cost of school supplies is an added burden for foster families living paycheck to paycheck. Indeed, foster parents may receive financial assistance from the state, but it only goes so far, and is often not enough. To be sure, with school shopping lists getting longer and longer, it can be challenging for foster families to provide all the needed supplies. And for children who are placed into a new foster home suddenly and with no notice, there is often no time for foster parents to shop; no chance to provide what the child needs not only for the for the next few months, but for the very next day, too. Today, right now, you can help a child in foster care. You may be saying to yourself, "But I can't be a foster parent." Let's be clear--you CAN still help! You can begin by donating and shopping. Supplies for school can be purchased and donated to local foster care agencies who work with children and for your local foster parent association. These supplies can include paper, pencils, pens, calculators, crayons, backpacks, and other school needs. You can also donate clothing, food and other supplies to your local foster parent association, as well. Even gifts for the children for birthdays and holidays donated to your local foster parent association can go a long way in both bringing joy to a child in need, as well as helping to relieve some of the financial challenges the foster parent may feel. I recently read about how one leading national retailer is dedicated to making a difference and is focused on making a difference in the lives of foster families. As a foster, adoptive and biological parent, as well as a former high school teacher, I was so encouraged to read that Mattress Firm is hosting a School Supply Drive, where they are encouraging people across the nation to donate items to their local Mattress Firm store. Backpacks, paper, pencils and pens, crayons, folders; supplies that children in foster care will surely need. Not only will this bring much needed resources to children in foster care, but also help foster parents at the same time. It is companies like Mattress Firm that not only help me as a foster parent to continue caring for children in my home, but also inspire me, even during the most difficult of times. Not everyone can be a foster parent. I understand that. It has been the hardest thing I have ever done, while at the same time, the most important and rewarding thing I have done. Yet, everyone can help in some way, and there are ways you can help a child in need, just like what Mattress Firm is doing. With roughly 415,000 children in foster care today, there are children who are in need of a helping hand right now. There is a child, right now, who needs your help. There is a child who hopes you will start helping today. 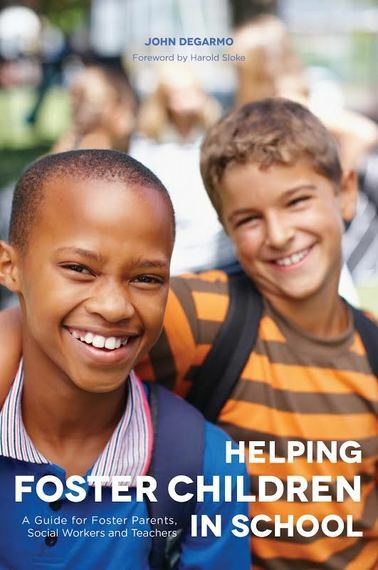 For more about the challenges children in foster care face in school, read Helping Foster Children in School: A Guide for Foster Parents, Social Workers, and Teachers by Dr. John DeGarmo.